An illustration of what one would see, traveling at the speed of light from the sun toward the edge of our solar system. The filmmaker decided to end the video after Jupiter (at 45 minutes) to keep it “short,” since it could have gone on another half hour just to get to Saturn, let alone Uranus, Neptune, the former-planet Pluto (#neverforget), or the Kuiper Belt. As we examine enormity, we might send sharply-focused birthday greetings to Theodore Harold “Ted” Maiman; he was born on this date in 1927. 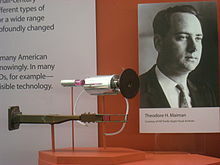 A physicist and inventor, Maiman is credited with the invention of the first working laser, a synthetic ruby crystal laser, which was announced to the world in a July 7 press conference hosted by his employer, Hughes Aircraft. Maiman’s work, for which he was granted a patent, led to the development of a variety of other types of lasers, and laid the foundation for the myriad uses in storage, scanning, communications, and other applications that have emerged since. 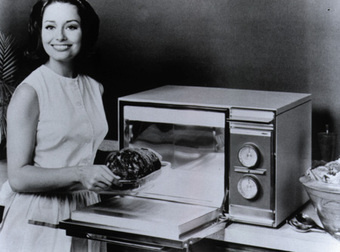 Can your microwave oven really measure the speed of light? Yes, it can be done. And since many of the suggested experiments also involve chocolate, it will be done. Oh yes, it will be done. Step-by-step instructions (and an accessible account of the physics involved) here. 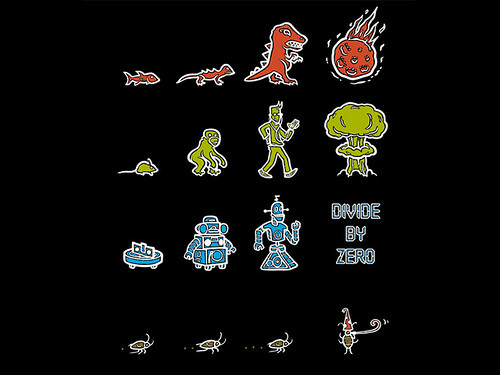 Also from io9, “A Drug That Causes One Animal’s Brain to Transform Into Another.”– “Does this mean you could treat a chimp embryo and make its brain human? Possibly – as long as you started very early in the process of development.” Fascinating. 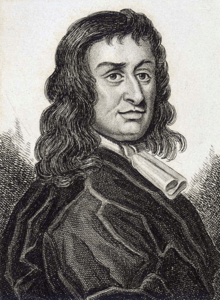 As we say “Hello, Mr. Wizard,” we might recall that it was on this date in in 1671 that Thomas Blood, an Irish Colonel and a “noted bravo and desperado,” dressed as a clergyman and attempted to steal the Crown Jewels from the Tower of London. Blood was frustrated in the attempt, apprehended, and taken in chains before King Charles. Despite the attempted robbery, prior involvements in kidnapping and attempted murder, and the fact that Blood had forsaken the Royalist cause for the Roundheads, the King not only pardoned Blood, but endowed him with land in Ireland. Blood died of natural causes nine years later.